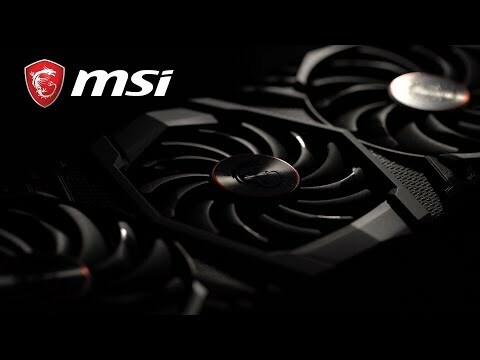 The MSI Gaming X Trio 1080 Ti features the new Tri-Frozr cooling design that has 3 Torx Fans for supreme cooling, the backplate features an L-shaped LED area along with the MSI logo that feature Mystig Lighting Sync. The front of the card features the Dynamic Red LEDs. Overclocking and LED customization can be controlled in the MSI Gaming app while the overclocking is done using MSI Afterburner. The latest iteration of Mystic Light RGB offers even more choices than before, with the astonishing L-shaped light bar, symmetrical red dragon claw lights. The LED lights are divided into three zones, each of which can be individually controlled. With the convenience of Mystic Light Sync, you can control all the RGB components from other brands from your PC or smartphone. The Tri-Frozr cooling technology on the MSI Gaming X Trio 1080 Ti feature torx fans, these Award-winning fans are designed to combine two different fin designs for cool & quiet gaming. The fans also feature strong and lasting double ball bearings that provide years of smooth and silent gaming. The last feature is Zero Frozr that eliminates fan noise by stopping the fans in low-load situations so you can focus more on gaming. Just like in games, the exclusive MSI TORX 2.0 Fan technology uses the power of teamwork to allow the TRI-FROZR Thermal Design to achieve new levels of cool. TORX 2.0 Fan design generates 22% more air pressure for supremely silent performance in the heat of battle. The Dispersion fan blade works together with the Tradition fan blades the dispersion fan blades accelerate the airflow which increases the effectiveness where the traditional blades steadily push air to the heatsink below. Performance can be determined by many aspects, one of the deciding factors is the quality of the components used in the graphics cards. This is why the Gaming X Trio 1080 Ti from MSI uses only MIL-STD-810G certified components. These components have proven durable enough to withstand the torturous circumstances of extreme gaming and overclocking for extended usage. MSI Afterburner is the world’s most recognized and widely used graphics card overclocking utility, granting you you full control of your graphics cards. It also provides an incredibly detailed overview of your hardware and comes with some additional features such as customizing fan profiles, benchmarking and video recording - save and show-off those epic gaming moments.